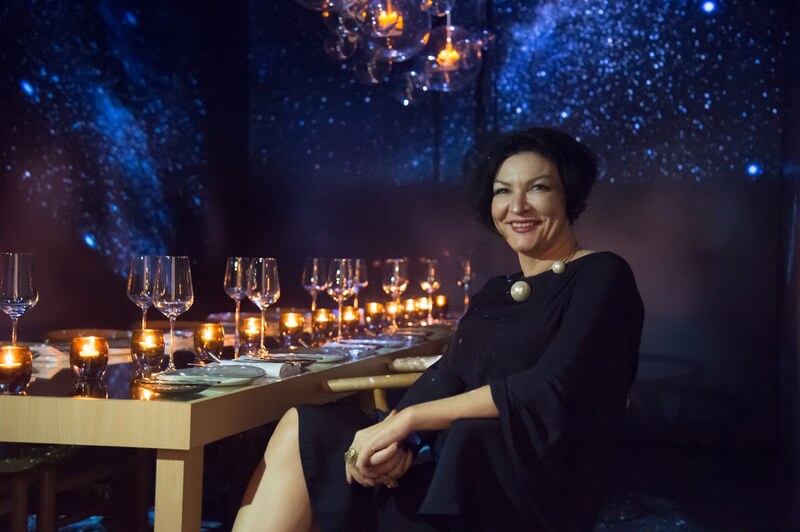 The Sheraton Imperial Kuala Lumpur Hotel brings to town “Find your Lucky Star” – a one-of-a-kind pop-up restaurant, conceptualised by multi award-winning global interior designer, Emma Maxwell. 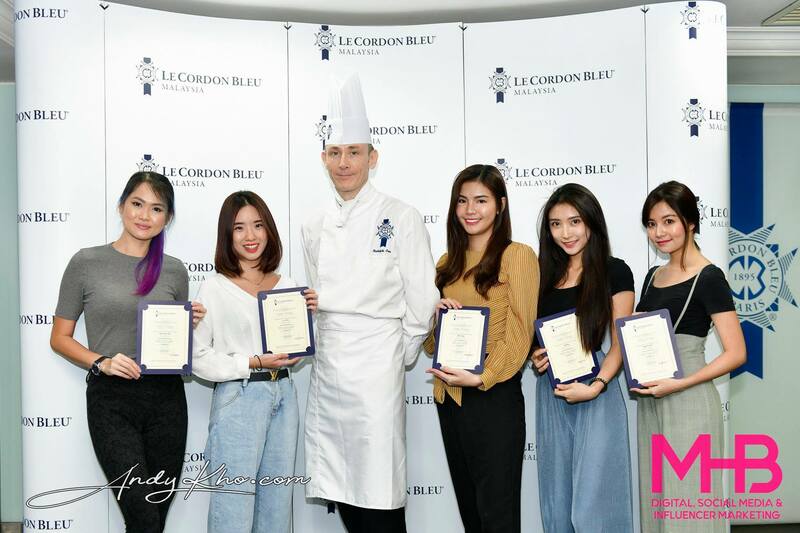 Drawing inspiration from European flavours, the celebratory menus are curated by two talented chefs; Chef Francois Mermilliod of famed French dining restaurant in Singapore, Bar-A-Thym as well as Chef Gaetano Di Stefano of Villa Danieli, the signature Italian restaurant at Sheraton Imperial Kuala Lumpur. The mesmerizing dining experience is available for a limited time only from 12 to 29 December 2017 for lunch and dinner and each session accommodates only 12 guests. She added, “They will then, venture into a fantastical scene that initially doesn’t make sense to the human condition. 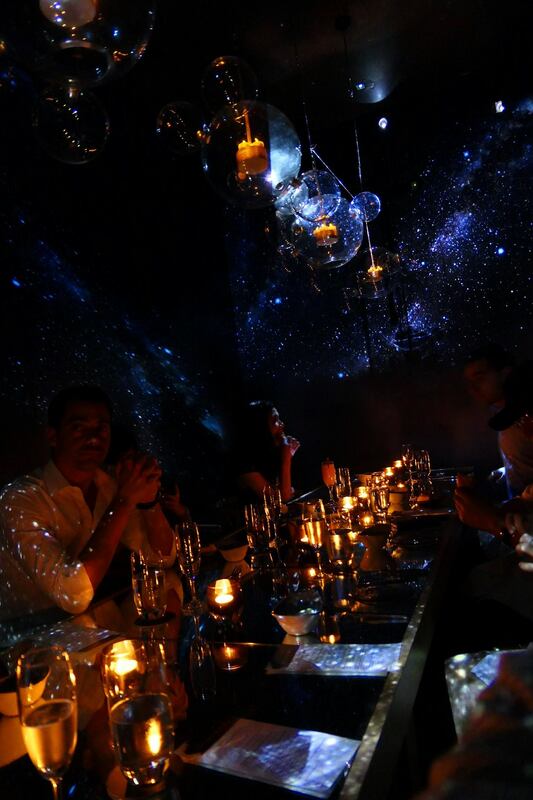 Guests are placed “upside down” in an evocative landscape, where the clouds and the tree tops are the basis for the floor and walls.” Throughout the course, guests will experience the transformation from the dark void above them moving into a shimmering star field before crowning the experience by searching for their lucky star and making a wish. 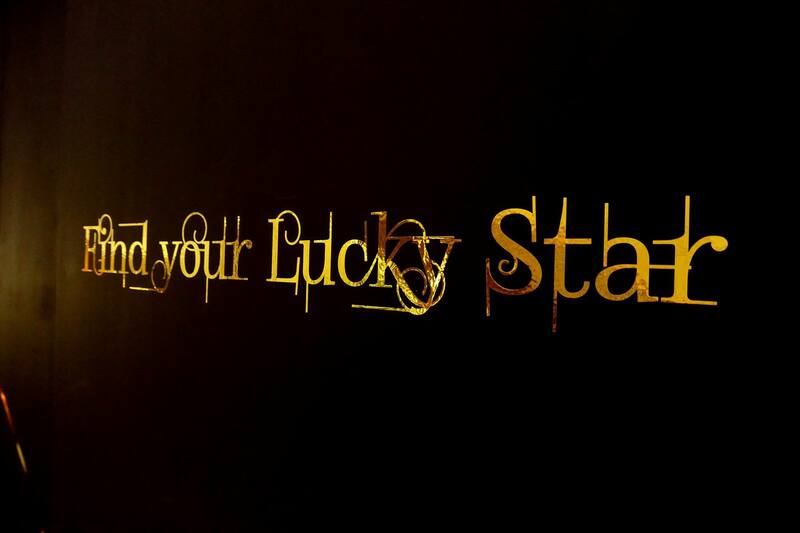 “Find your Lucky Star” pop-up restaurant concept will feature a 4-course lunch or a 6-course dinner with wine pairing or non-alcoholic drink. 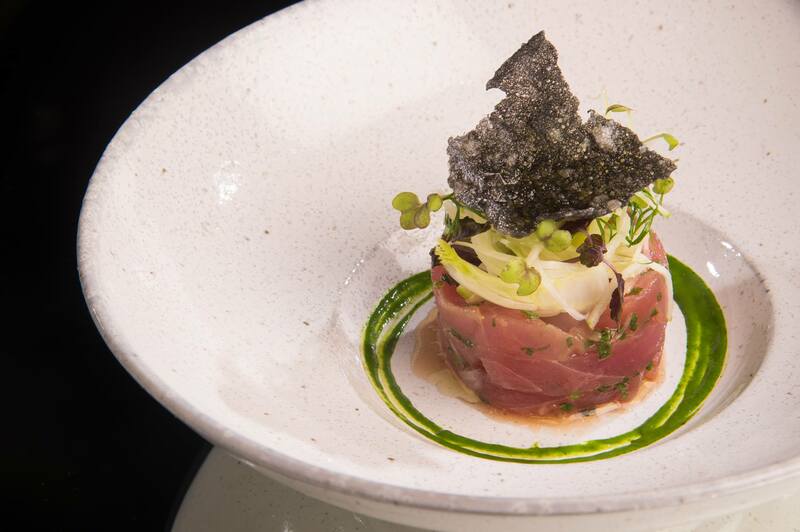 From 12 to 16 December, guests will taste the finely crafted menu by Chef Francois with contemporary French dishes such as, milk-fed veal tenderloin, foie gras foam, heirloom baby carrot and buckwheat, paired with Capel Vale Margaret River Cabernet Sauvignon. 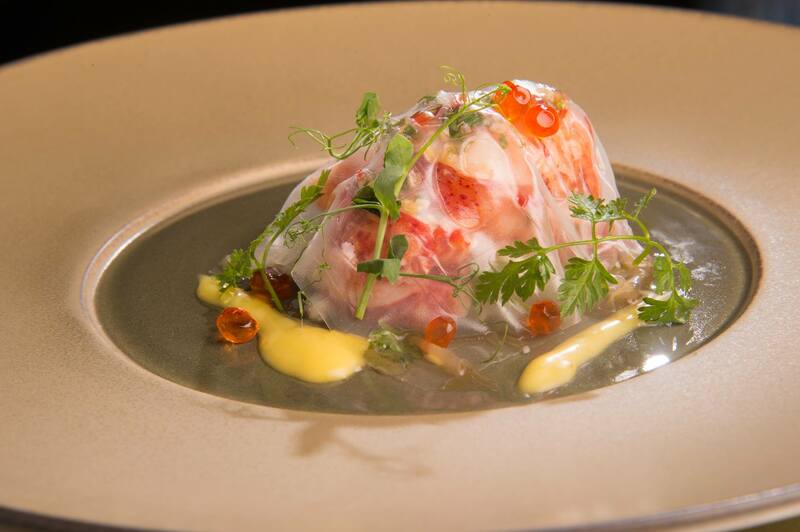 Known for his dishes from the South of France, Chef Francois marries his French signatures with strong influence from Mediterranean Italian cuisine with an Asian twist for a heartwarming festive feel. 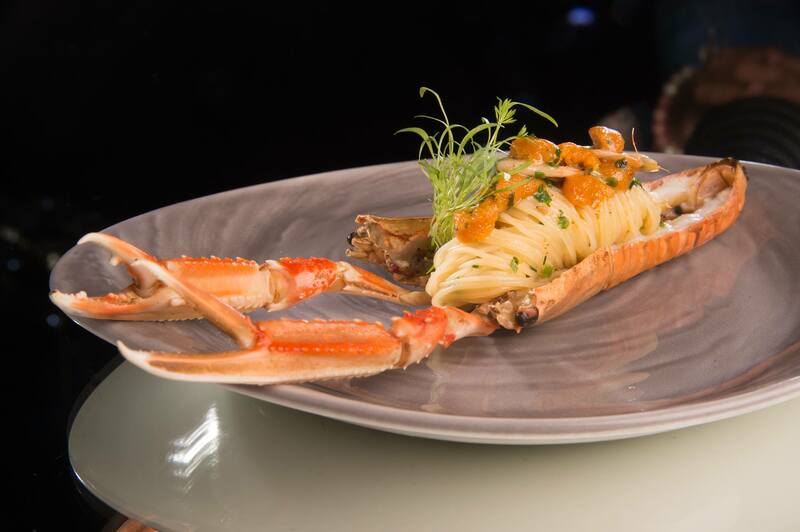 The following week from 17 to 29 December, guests will be gratified by exquisite Italian cuisine by Chef Gaetano. 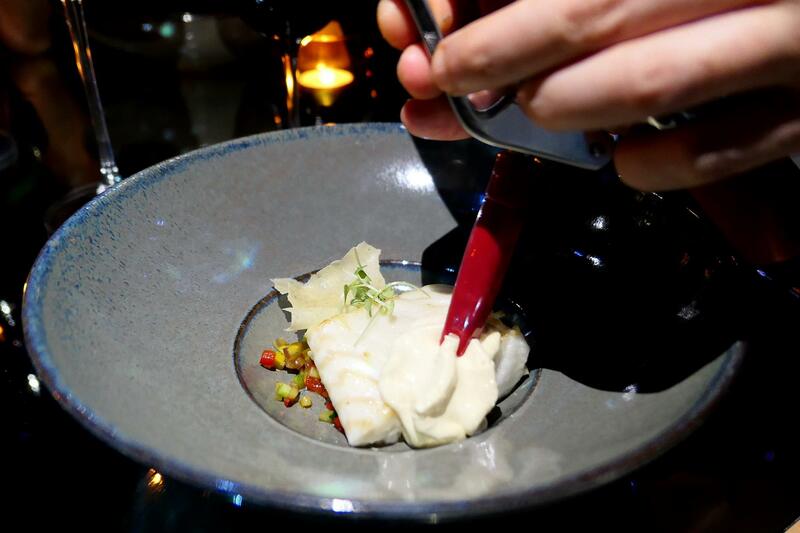 Promising a true Italian taste, highlights include the baked turbot with braised Mediterranean vegetables, sea urchin foam and tomato vanilla sauce paired with 2013 MAZZEI Fonterutoli Chianti Classico DOCG. 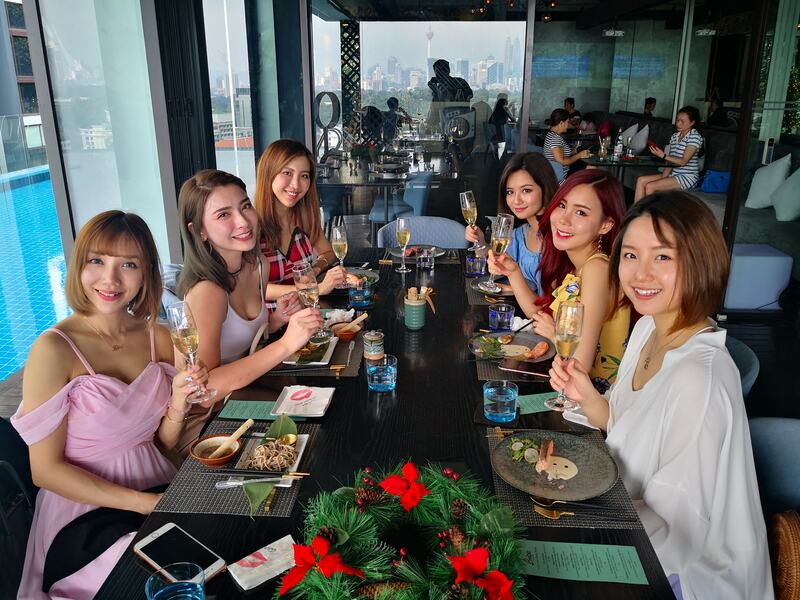 For those looking for a magical and unique dining experience, the “Find your Lucky Star”, this a one-of-a-kind dining experience is suitable for romantic dates, intimate social gatherings or corporate socializing events such as client appreciation dinners. With limited seats of 12 persons per session for a limited time from 12 to 29 December 2017, the “Find your Lucky Star” experience is available at RM 238 nett for a 4-course lunch with wine pairing or RM 188 nett with mocktail, and RM 438 nett for a 6-course dinner with wine pairing or RM 388 nett with mocktail. Enjoy a 15% discount for SPG, Marriott Rewards and Club Marriott members, as well as for group bookings of 12 persons (blackout dates apply). There will only be two sessions per day with a minimum of 2 persons, and as such, guests are encouraged to call in for early reservation. 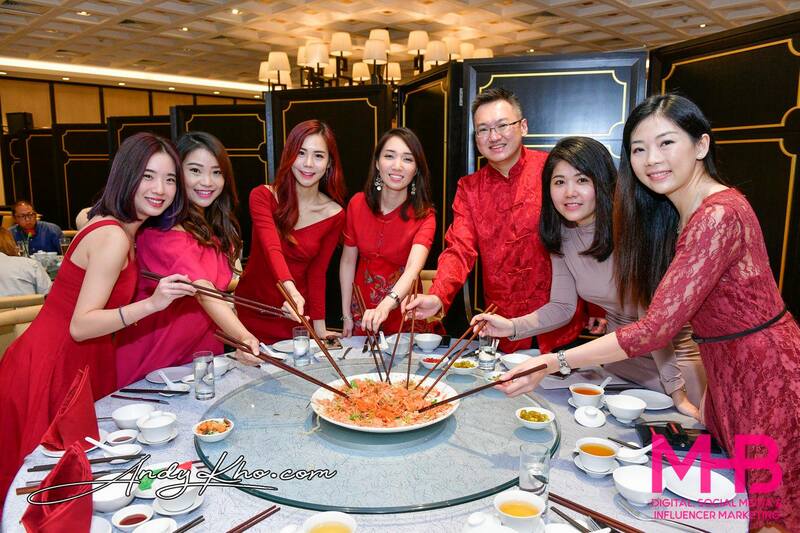 I’ve been to many a memorable dinner at the Sheraton Imperial Kuala Lumpur (which you can read here – https://timchew.net/?s=sheraton+imperial) but this one is the most amazing one yet! Upon arrival, we were greeted with prosecco while waiting for all the guests to arrive, after which we got seated inside the specially designed “room”. 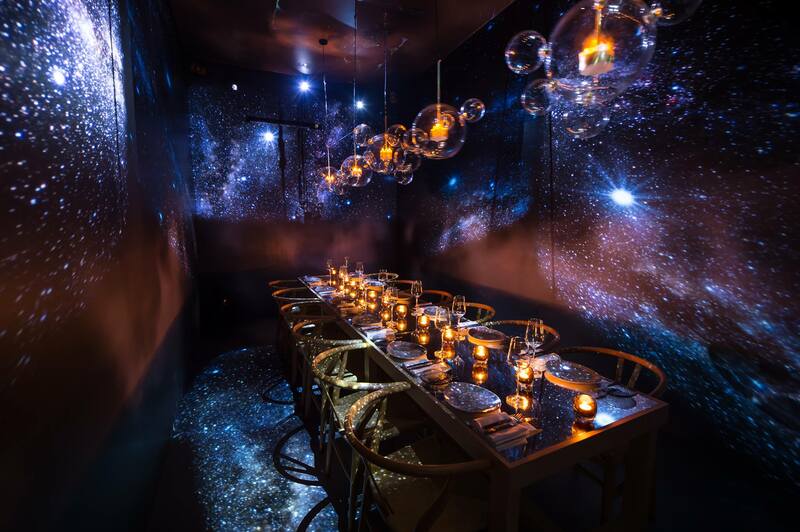 It was a room unlike any other – with beautiful glass light fittings hanging from the ceiling, while images of space were projected on the walls and even the mirror-finish glass table, evoking a sense of floating in space. There’s also soothing modern instrumental music which complements the whole setting… adding a sense of mystery and awe. 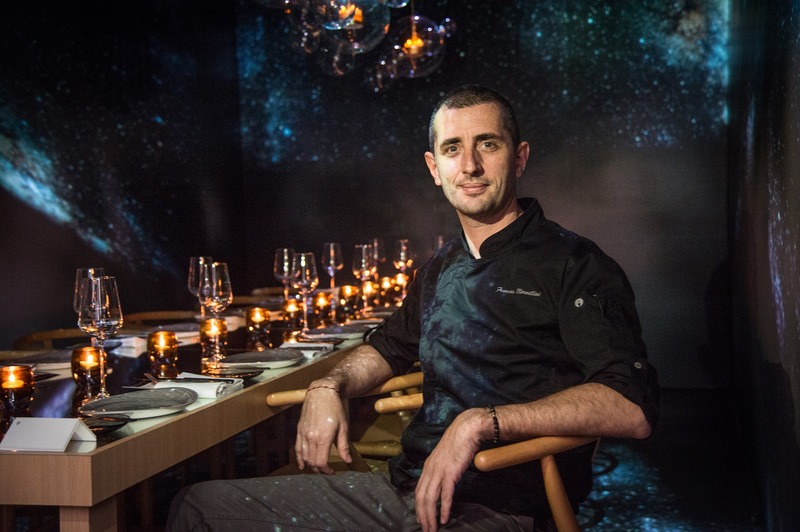 The scene slowly changes as you progress through the dinner, with more galaxies and stars appearing as you wonder through space, and by the time you reach dessert you’ll have your shooting star to wish upon. What a mind-blowing start to the meal! 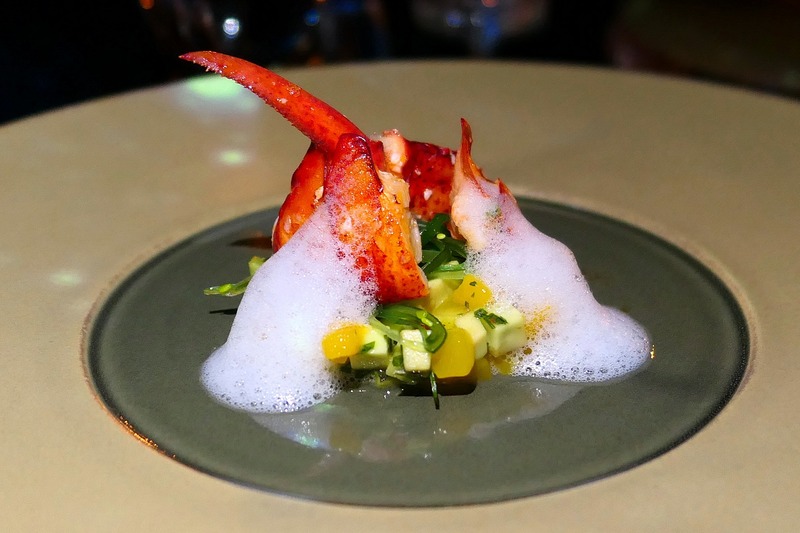 Generous chunks of sweet lobster that went beautifully with the mango salad and delicate grape fruit foam. 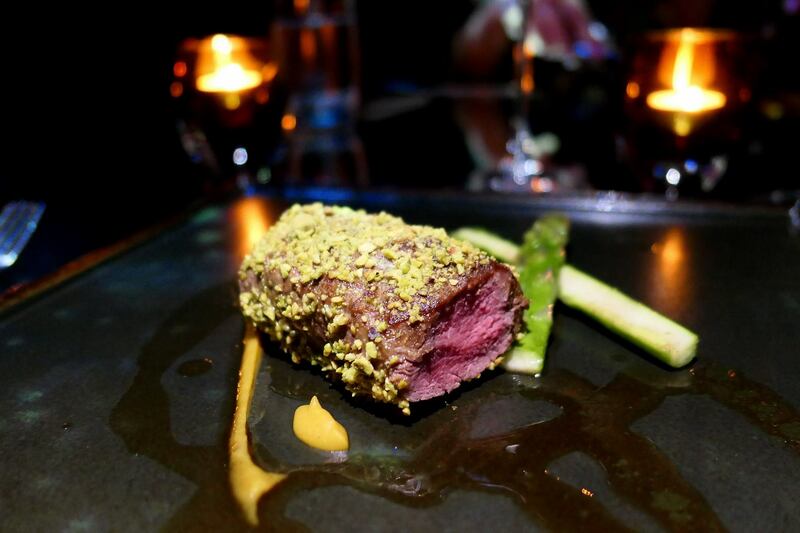 She loved this as well and it’s easy to see why – a premium ingredient complemented with lovely piquant and sweet flavours, resulting in a lovely mix of flavours and texture in the mouth. Hands down one of the best appetisers I’ve ever eaten. The wine selection was spot on and added an extra dimension to the dish. So good it deserves another photo! 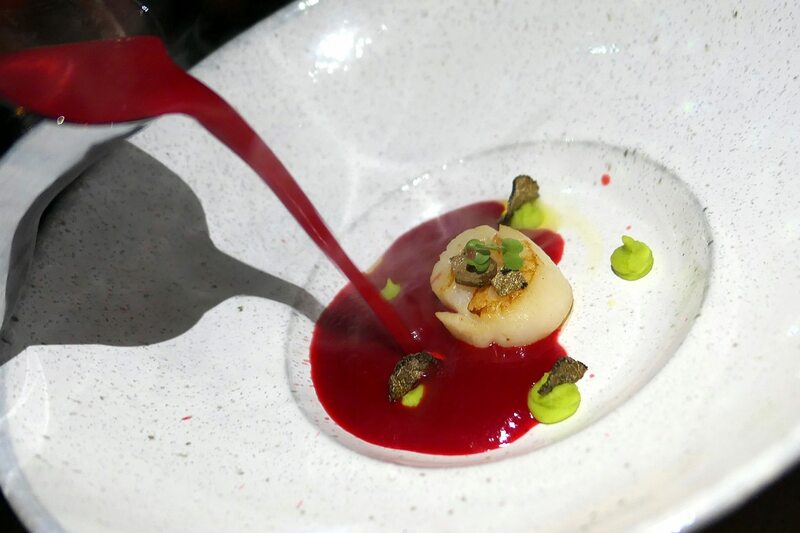 Now beetroot is not one of my favourite ingredients however I was surprised how its rich flavour matched the seared scallop while the truffle essence added a touch of luxury without overpowering the dish. 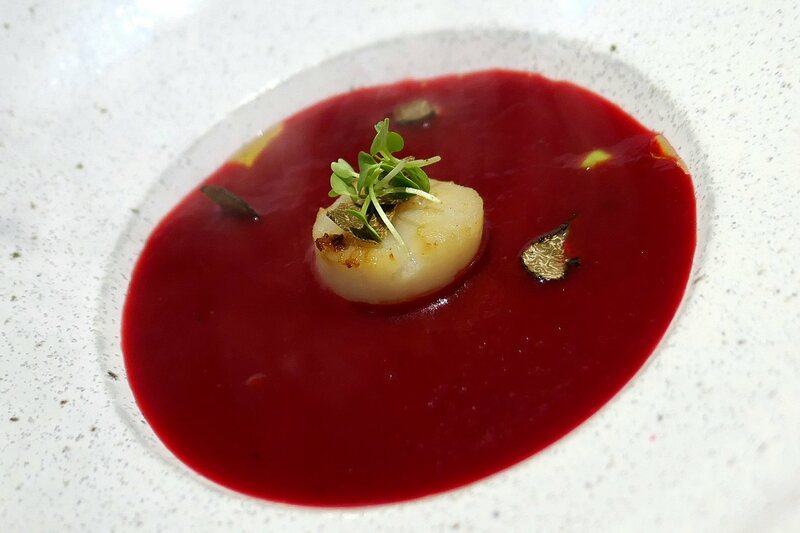 Another truly memorable soup for me, and as my partner in crime loves scallops, needless to say – she loved it too. 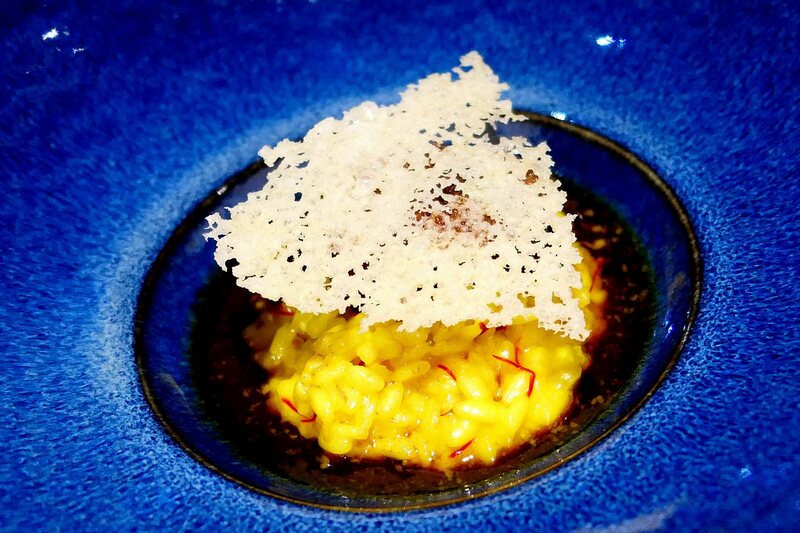 Melt in the mouth tender beef cheek upon a risotto with ACTUAL slivers of saffron which imparted a whiff of fragrance as the dish was served! Wow… talk about premium ingredients indeed! Was also impressed by the piece of crisp parmesan cheese which rounded off the whole dish. Finished with the Sea Urchin Foam by Chef Gaetano himself! 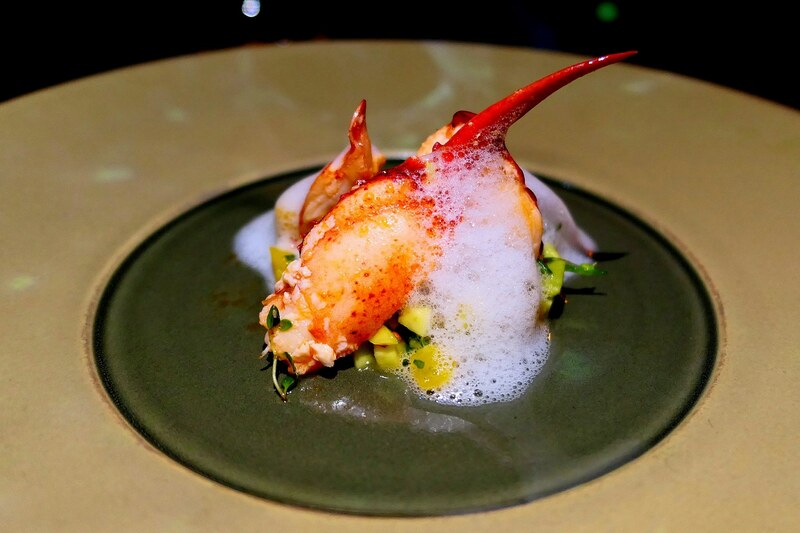 This dish was completed tableside by Chef Gaetano himself, who added the sea urchin foam on top. Turbot is a rather premium fish and it was actually my first time eating it. It was cooked well and must have been very fresh as it did not have any “fishy” smell or taste. It went well with the rich-ish foam which had really delicate flavours. 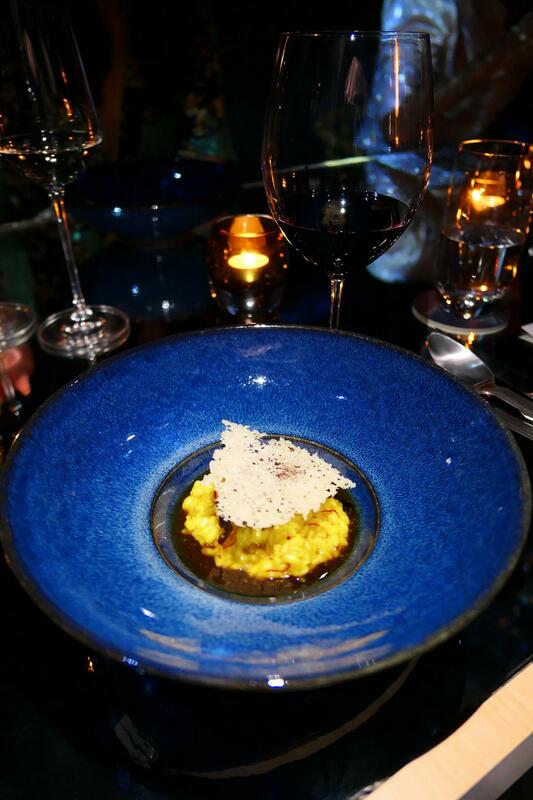 A well thought-through dish indeed which showcased Chef Gaetano’s skills! I did not quite agree with the wine pairing though (I know some sommeliers say that you can pair certain red wines with fish or seafood but I still prefer my seafood with white wine) however I did have a little of the two white wines from the earlier dishes left to pair with this one. This was pretty much heaven for a red meat lover like me. 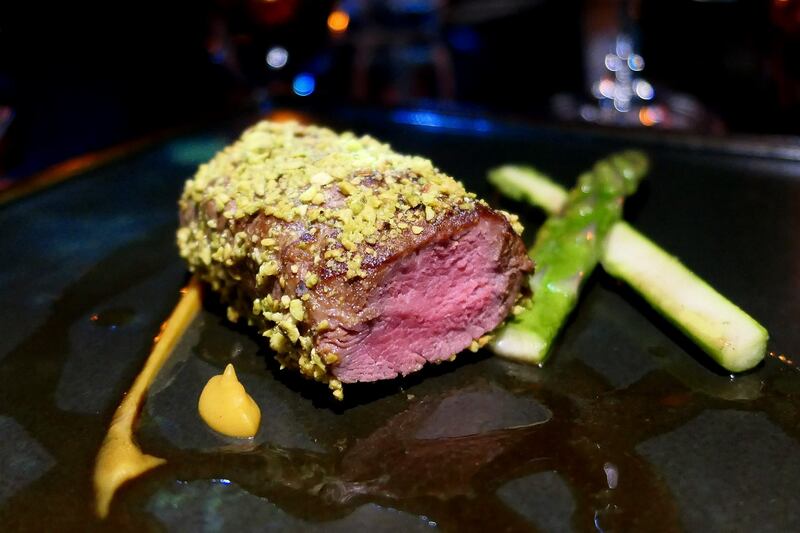 The pistachio crusted lamb rack was roasted to a perfect pinkish medium rare, and imparted lots of natural juice and flavours. It went exceedingly well with the Chianti too but honestly was so good you could just have it on its own. Lamb is not hugely popular in Malaysia (lots of people don’t like the smell, which shouldn’t be there anyway if you have a quality piece of meat which is cooked with the proper technique) and thus is not found that often on menus, but this one was spectacular. 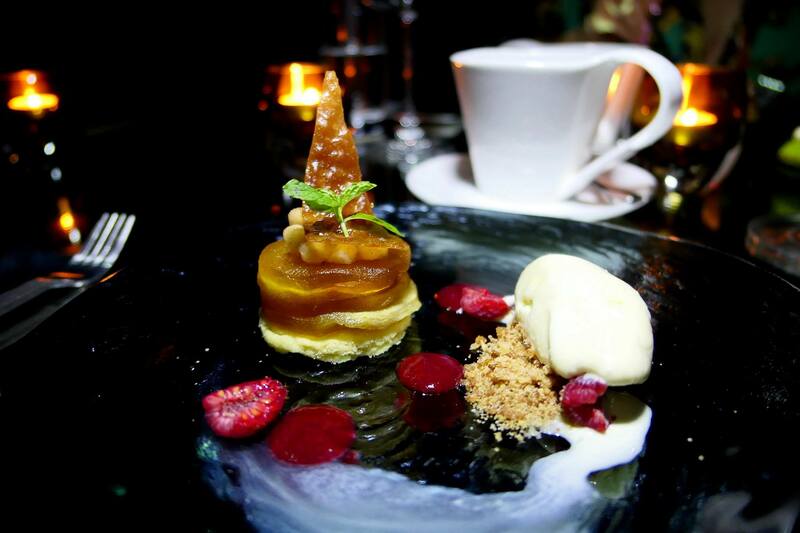 A nice sweet and slightly piquant end to the meal in the form of a very elegant dessert. 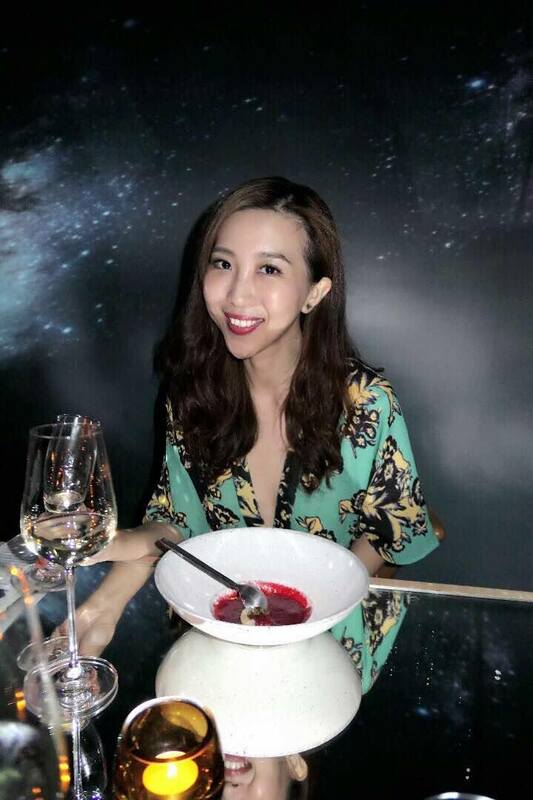 Oh BTW, don’t let the staff clear the wine glasses if you haven’t finished them (I know it’s a fine dining thing but I hate seeing wine go to waste) so you’ll have wine to go with your dessert, and you can see which one matches this one best. For me, it’s the Chianti which I had with the lamb that really complements this dish as it added extra spice to this dessert. What an amazing dinner! The food was great but the whole ambience was seriously something else! We came out feeling serene, satisfied, and rather in awe of what we just experienced. 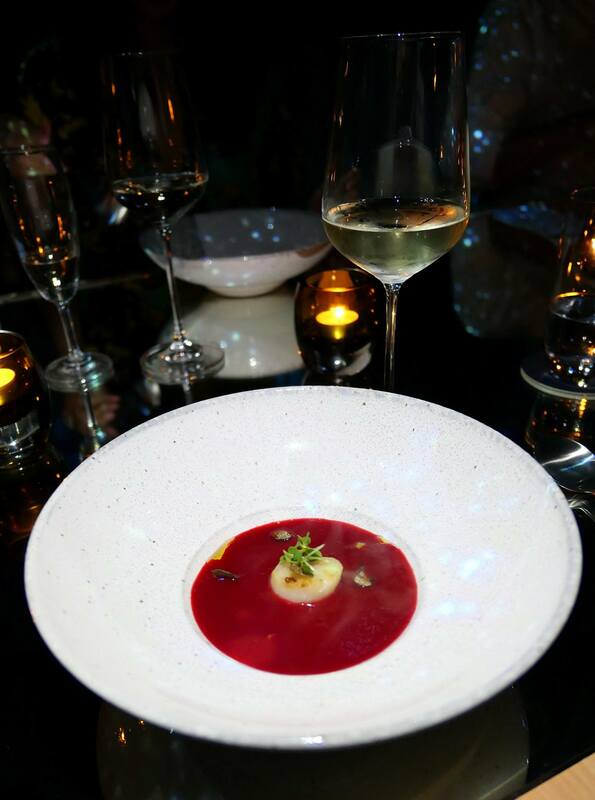 If you can, have this dinner with the wine pairing as it adds an extra dimension to the dishes. As this is a space and time-limited offering, don’t wait till the last-minute to book a spot!